Fortunately, Sergio and I remain largely unaffected by this since we both live and work in the city and on most days both of us are working from home. I found the study surprising because it seems like today there is more flexibility for people to work from home a couple times a week and/or commute during off hours, but clearly I am wrong or it isn’t enough of a trend. 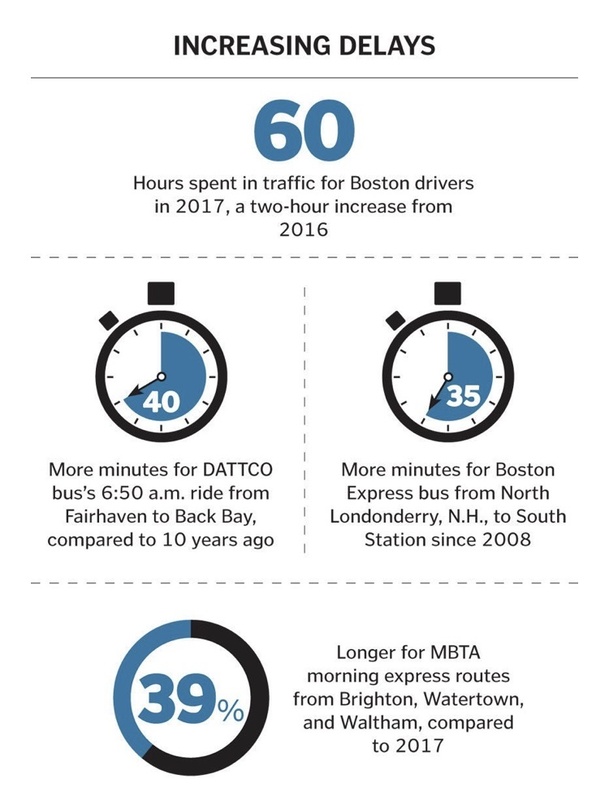 For those of you who will be packing up soon to face the traffic, which was the impetus for the article in the Globe, you can read the full article here, Boston drivers are spending more time in traffic.